Posted on March 9, 2016 at 10:00 am. Once I’d changed my laundry detergent and other household products, I was still developing rashes. Even in places where the only thing touching me was water. It had happened before; after a heavy rain, I developed dry, red rashes on my face. This time the reaction was continuous. I started noticing the chlorine smell in my clothing and drinking water. The city said that after heavy rains they shock the system by adding extra chlorine to the water, and that was probably why I had experienced a reaction previously. Chlorine is an important component of the drinking water system in getting the water to your house, as it kills and prevents the growth of bacteria and viruses in the water supply, but it becomes much less necessary as the water moves through your house to the taps. I started to call water treatment companies, looking for chlorine removal filtration. I needed it for the whole house, because treating my shower, bathroom sink, kitchen sink, laundry, and every other water source in my house separately would have cost even more. If you ever come to this necessity, let me tell you: Most of the water treatment companies out there have no clue what they’re doing. They provide a one-stop friendly shop for people concerned about their water, giving each person the same product and hoping they’ll be happy. They do not understand their products, and they do not know anything about them. They size your filters based on the square footage of your house, not how much water you use in your house. If you are okay with this, feel free to work with them and take what they offer. Most of them tried to convince me to install separate water treatment, at $300 apiece, on each tap. They didn’t know what materials the filters or casings were made of, they had no clue that there was more than one kind of plastic in the world (true story! ), and they had no clue that removing *all* of the chlorine from water is impossible. They all wanted to sell me a water softener. One didn’t know the difference between a filter cartridge and a filter bed. He said, “You must have been researching this online!” as if that was a bad thing. No, I studied filtration in school. Before spending any money, make sure chlorine is really your problem. Boil water or allow it to sit for a few days so the chlorine can evaporate. Adding a small amount of ascorbic acid (vitamin C) powder to water will react with and deactivate the chlorine in water. It only takes 1 gram of ascorbic acid to neutralize the chlorine in 100 gallons of water containing chlorine levels at the high end of typical in municipal water supply (1 mg/l chlorine), so use just a very tiny pinch per litre, then stir. This will make the water slightly acidic, but in these quantities the acidity should be minimal. Use that water to wash your face and rinse your hair/body after showering for a week or two. If your symptoms improve, you may have been reacting to the chlorine. Know where you need chlorine removal. If it’s just two or three locations in your home, you can probably save money by filtering at those locations. If you’re looking at filtering in four to five locations or more, you will likely save money with a whole home filter. Know whether your city uses chlorine gas, chloramines, or chlorine dioxide to disinfect the water. Chloramine filters will remove chlorine gas, but not the other way around. Often a city will publish an annual water report that will contain the information you need. Cities generally test their water at the source and at least one residential location, so unless your system is unusual, you may not need a separate company to test your water for you; just find the report. The report will also tell you what other chemicals can be found in your water. Choose a good company to work with. If they’re sizing filters based on house square footage, think that filter beds and filter cartridges are the same thing, or insist that their filters remove ALL chlorine, they may not be the people you want to trust with your money. Consider industrial suppliers who also sell to the public, as they tend to have a lot more product knowledge. Know that the higher the volume of water flow through a filter the less the amount of contaminants and other chemicals the filter can remove from your water. This means that when you’re using two gallons per minute of water you are removing a higher percentage of chlorine and other contaminants than if you are drawing ten gallons per minute of water through the same filter. Ask about filter beds (also known as packed beds) vs. filter cartridges. Filter beds allow water to trickle through loosely packed filtration media. They generally require a higher initial expense, but can last tree to seven years before replacement. Filter cartridges can be made of solid carbon (lower water flows and pressure but higher chlorine removal), granulated carbon, or other materials in a plastic and paper casing (higher flows and lower chlorine removal), or folded paper (only for sediment removal). They often last two weeks to 3 months before requiring replacement. Reverse osmosis is most effective, but it requires a sediment filter first and is only cost-effective for individual tap installations. Consider the cost difference between frequent, cheaper replacements and more costly, infrequent replacements. Ask about backwashing filters vs. passive filters. Backwashing filters use an electronic controller and valve to push water backwards through the filter every few days to clear out the pores on the carbon and make the filter media last longer – up to seven years depending on your setup and needs. Passive filters require no controller or electricity, but more frequent media replacement. Compare quotes between dealers, and don’t be afraid to go back and ask more questions. You don’t want the cheapest product, you want the right product and size. I chose a 1.6 cubic foot backwashing filter with a filter bed containing a combination of acid washed coconut carbon and KDF 55 filter media. The coconut carbon is the only carbon filter media I found available to me that wasn’t bitumen-based (coal and oil). KDF 55 reacts with the free chlorine to turn it into less reactive chlorides, helps remove other heavy metals, and extends the life of my carbon media. Acid washing reduces the amount of fine carbon dust that could be rinsed into my water supply. 1.6 cubic feet was the largest single filter I could get without switching to two filters in parallel (side-by-side so that water can pass through both filters at the same time, like a split McDonalds drive through). I always have the option of adding a second filter in parallel if I find my water usage is high and chlorine removal isn’t complete enough. My filter not only removes chlorine and chloramines, but also some heavy metals, pharmaceuticals, and sediment, among other, less prevalent contaminants. It does not remove microorganisms (though it can inhibit their growth), fluoride, or hardness. The filter’s casing is covered in resin, but there wasn’t much choice there. All-in-all, the chlorine smell and taste are gone, and my skin no longer flares up after it rains. When I travel and forget to use dechlorinated water to wash my hands or face, I notice within the day, as my skin starts to flake and become itchy. One benefit of my whole-home filtration is that keeping a Brita filter jug in the fridge no longer makes sense. The jugs are made of plastic, and the filters are made of plastic, resin, and silver-impregnated activated carbon, so I was happy to let it go. Instead, I picked up this jug. It’s made of 304 stainless steel (mid-level food grade), holds as much water as our Brita jug did in a smaller space, helps the water cool quickly because it’s thin and metal, and has a lid to help keep out fridge odours. We make sure to empty it before refilling so that we’re not leaving unchlorinated water sitting for a long time before drinking it. – The Grayl Legend Water Filtration Cup (shown in photo) contains an integrated carbon filter. Three replaceable filter options are available: Tap, Travel, and Trail. Tap filters chlorine, iodine, and some heavy metals. Trail removes some pharmaceutical and industrial chemicals (including BPA and benzene) as well, and 99% of bacteria and protozoa. Travel has all of the above plus better than 99.999% virus filtration. To use, remove the lid and inner sleeve/filter. Add water to the base cup, then push the inner sleeve slowly and evenly down until it reaches the bottom. The water that has passed into the inner sleeve is filtered. Replace the lid, and enjoy! I have this cup, and it is great when travelling. – SwimSpray Chlorine Removal Spray is said to be effective at neutralizing chlorine on the body after a swim. It claims to only contain vitamin C and water. I have not tried it personally, and have not heard a review from someone with a severe chlorine sensitivity, but it may help. 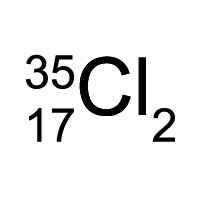 If you react severely to chlorine, you probably won’t be swimming in a chlorinated pool anyway. Are you sensitive to chlorine? How do you cope with it?